The name Serena Williams will forever be synonymous with greatness in the sport of tennis. Williams, who at the young age of 3 began intensive tennis training, is today, the winner of the most Grand Slam titles in the Open Era. She also comes in at second place on the all-time list. Her success on the court also means she is not just one of the richest players in tennis but sports in general. In 2016, she was the highest paid female athlete with earnings of almost $29 million. The following year, she was the only woman on the 100 highest paid athletes list by Forbes. Williams was born Serena Jameka Williams to her parents; Oracene Price and Richard Williams on September 26, 1981, in Saginaw, Michigan. She is the youngest of two children born to her parents but however, has a total of nine step-siblings from her parents’ previous marriages. Serena Williams grew up in Compton, California where at the age of 3, she and her 15-month older sister, Venus, began learning the game of tennis. At around the age of 9, the girls who lived and breathed tennis, moved to West Palm Beach, Florida so they could attend the training academy of the legendary tennis coach, Rick Macci. By 1991, when Williams was just 10 years old, she was ranked first in the 10-and-under division with a record of 46-3 on the junior tour of the United States Tennis Association. With fears that his daughter might burn-out before reaching her peak, Richard Williams withdrew both Venus and Serena from tournaments and Macci’s academy so they could face their education while he took back control of their coaching. Serena, just after turning 14, decided to become a professional tennis player against the wishes of her parents who, however, supported her decision. She made her debut at the Bell Challenge in Quebec in October 1995 as a wild-card but lost in the qualifying round. 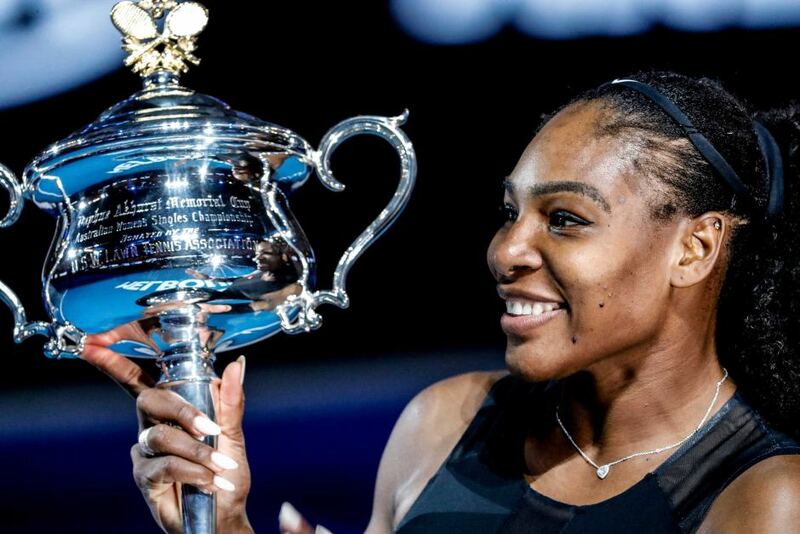 Following a year-long break, Williams, who was ranked at No 304, returned in 1997 to upset two top-10 ranked players at the Ameritech Cup Chicago, becoming the first lowest-ranked player to do so in one tournament in Open Era. Despite all the hype that was beginning to surround her, Williams crashed out in the semifinals but finished the year in the No 99 rank. In 1998, Serena Williams graduated from high school and signed a $12 million shoe deal with Puma before going to play at the Medibank International Sydney tournament where she defeated third-ranked Lindsey Davenport in the quarterfinals but lost in the semis. She went on to lose six other quarterfinals that year but, however, found success in the mixed doubles grand slam tournaments at Wimbledon and the US Open, playing alongside Belarusian tennis player Max Mirnyi, and in three doubles tournaments, playing with her sister. She ended the year with the No 20 rank. Williams then tasted her first professional singles title victory at the Open Gaz de France in Paris in 1999 before heading off to the US Open to win her first Grand Slam, becoming the first African-American woman to win a Grand Slam singles tournament since 1958 when Althea Gibson did so. To get to the finals, Serena Williams defeated players like Kim Clijsters, Conchita Martínez, Monica Seles, and Lindsay Davenport who were all Grand Slam champions before beating her rival Martina Hingis. The rest, as they say, became history. Is Serena Williams Married? Who is Her Husband? Serena Williams is married to internet entrepreneur Alexis Ohanian, who is of American-Armenian and German descent. He is best known as the co-founder of social news website Reddit. Ohanian, who is two years younger than Williams, was born to a German-born mother and an Armenian-American father on April 24, 1983, in Brooklyn, New York. The pair got engaged on December 10, 2016, and by January, after winning the 2017 Australian Open, Williams revealed she was two months pregnant at the time of her participation in the games. She gave birth to her daughter, Alexis Olympia Ohanian, on September 1, 2017, through cesarean-section following complications during labor. Two months later, on November 16, 2017, the duo exchanged vows in a star-studded event at the Contemporary Arts Center in New Orleans, Louisiana. Place of Birth: Saginaw, Michigan, U.S.